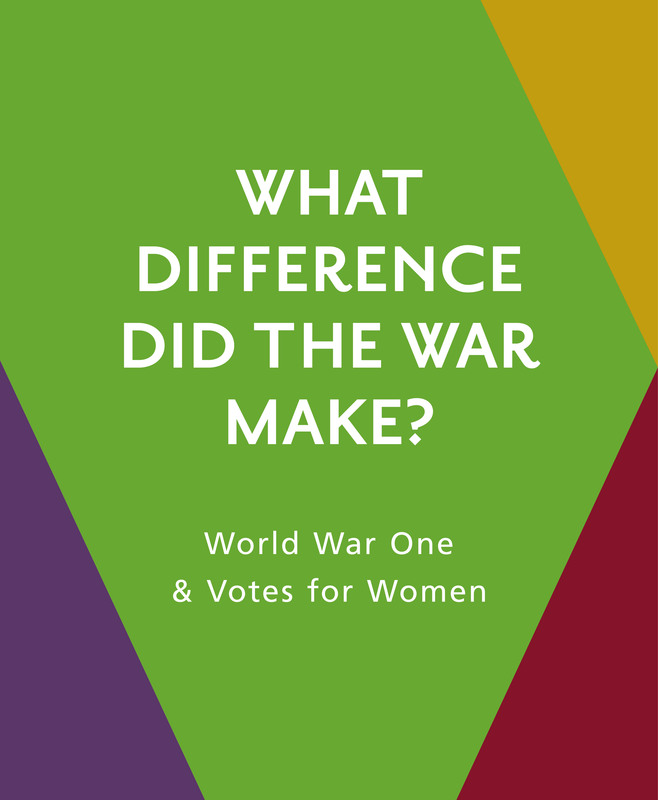 As part of our AHRC project ‘What Difference did the War Make’, we’re holding an event at the University of Lincoln to look at what women have to do in order to be selected as PPCs (Prospective Parliamentary Candidates) and so stand a chance of becoming an MP. This blog explains some of the problems facing the earliest women candidates who stood in the first seven elections when women could vote (from 1918 to 1935). The story of British women’s fight for political equality did not end with the Representation of the People Act (1918) when some of them got the Parliamentary vote. Women were still not able to stand as candidates in their own right, although many disagreed with this. When Nina Boyle of the militant suffrage organisation the Women’s Freedom League tried to put herself forward in a by-election in Keighley in May 1918, the returning officer added to the confusion by refusing her candidacy because of irregularities in her papers and not on the grounds of her being a woman. The Labour Party and the socialist Independent Labour Party agreed to put small numbers of prominent socialist women onto their candidates’ lists. Others insisted that the 1918 Act had only given women the right to vote for male candidates, and that dire consequences might ensue if they were permitted to enter the House of Commons themselves. The confusion was ended in October 1918 when a free vote was given on a resolution to pass a Bill making women eligible to be Members of parliament. The Parliament (Qualification of Women) Bill was introduced as a result, and gave women exactly the same right to stand as candidates as men. So women aged between 21 and 30 who were not eligible to vote for MPs could now stand as MPs! The bill passed into law on 21 November 1918, weeks before the next general election. Women now faced an uphill struggle in trying to get themselves onto ballot papers. Of the 17 women who stood as candidates in December 1918 only nine were adopted by the Liberal, Labour and Conservative parties, with a further two representing Sinn Fein. The remaining six stood as independent candidates backed by existing organisations such as the Women’s Freedom League or the new Women’s Party which emerged from the remains of the Women’s Social and Political Union. Only Christabel Pankhurst was endorsed with the magical ‘coupon’, a letter of endorsement from the wartime coalition leaders Lloyd George and Andrew Bonar Law. With such a short time to prepare, only Constance Markievicz was elected, and as a Sinn Fein candidate she refused to take the oath so did not appear at Westminster. The difficulty in getting selected remained a major obstacle to women seeking to become MPs in the inter-war years. The first women to be elected, Nancy Astor at Plymouth in 1919, Margaret Wintringham at Louth in 1921 and Mabel Philipson at Berwick upon Tweed in 1923, were all elected at by-elections. More importantly they all took over the seats previously occupied by their husbands. Astor’s husband had gone to the House of Lords, Wintringham’s husband had died (she did not make public speeches during her campaign as she was still in deep mourning) and Philipson’s had been disqualified due to his agent’s malpractice. Wives and daughters such as the Duchess of Atholl and Megan Lloyd George were among other early women MPs which may have eased their way into politics allowing them to represent themselves as continuing a familial tradition rather than ploughing a feminist vanguard. The existing selection processes made things hard for would-be women politicians who did not have strong family ties to Westminster. The Labour Party put a slightly higher number of female candidates forward than the Conservative or Liberal parties but had fewer elected. They were often adopted for the most difficult seats. Labour women were also less likely to be backed by the more powerful unions which represented men’s trades such as mining and engineering. The inter-war Conservative Party encouraged self-selection which often worked against many women’s instincts, and involved impressing local agents who were mostly men. Liberal Party women had enjoyed one of the most active auxiliary political organisations before the First World War but now suffered from their party’s political collapse. There was also the matter of costs, as candidates were expected to pay much of their own election expenses. Even affluent women could lose out if their personal circumstances changed. The popular Conservative MP Mavis Tate was forced to tell her Frome constituency that she could not afford to stand for re-election when divorce reduced her income. A number of interested non-party groups tried to work together to make things easier for women to become candidates. Ex-suffrage groups such as the Women’s Freedom League and the National Union of Societies for Equal Citizenship worked with new groups such as the Women’s Election Committee to try and offer practical and economic support. Yet even with their help, numbers of women candidates remained small. Women who lacked significant experience in trade unions or political parties (most of which had not allowed women to join before 1918) or who did not have familial connections found it very difficult to get their names onto ballot papers. The number of women candidates in general elections in the inter-war years never exceeded 69 and the numbers elected did not go above 15. The system, as it stood, was clearly not designed to deliver a more evenly-gendered parliament – more direct interventions would have to be decided. Krista Cowman is Professor of History at the University of Lincoln. Previous Women Demand Equal Pay!